Hello, lovelies~ Skincare has always been my favorite category amongst the many out there in the beauty world. I feel that taking good care of your skin since an early age is a great plan, so you'll save on makeup, lol. It's been a while since I last posted about my skincare routine. It was up on Youtube, but caused a copyright issue because of the music, so I took it down. However, I have a new skincare routine now and I'm ready to share it with you. I start my mornings by adding water to about a tablespoon of whole oats in a bowl. While I wait for it to form a paste, I usually brush my teeth. 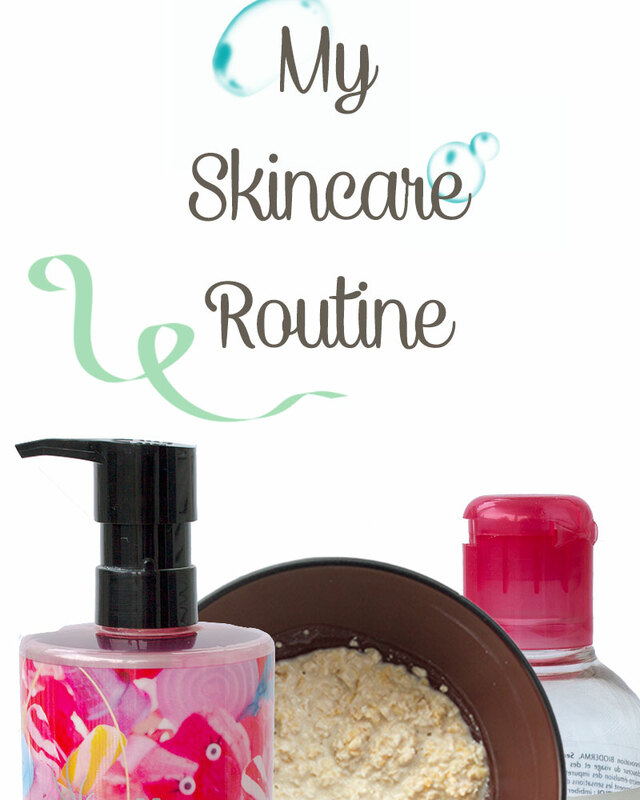 Using circular motions, I massage the oat paste gently on my face for about a minute. After rinsing off and patting it off dry with a towel, I continue to use a serum or treatment. 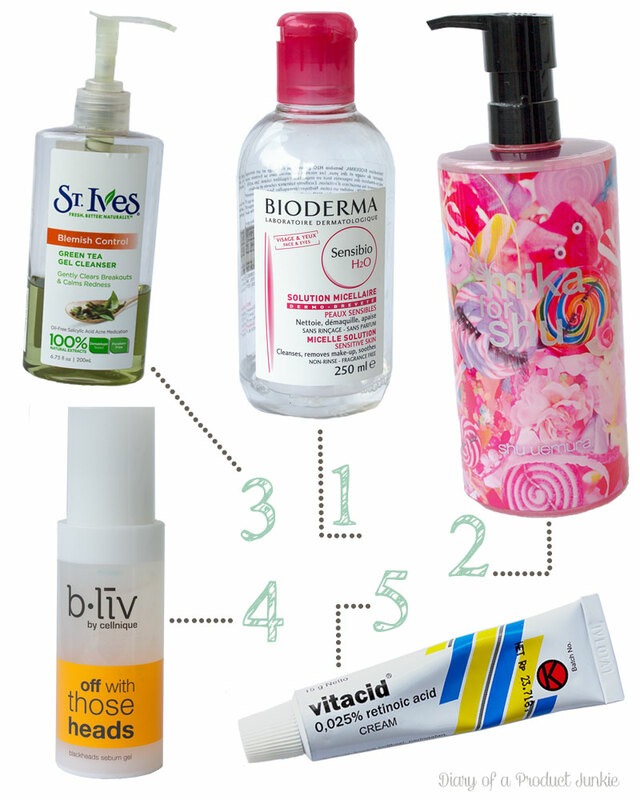 Lately, I have been using bliv blackheads sebum gel in hopes to reduce any whiteheads and/or blackheads. Once the sebum gel has been absorbed, I layer my Skin Aqua UV Moisture Gel sunscreen to ward off the harmful UV rays. If I wore makeup during the day, I would cleanse them with Bioderma Sensibio as soon as I got home. I just don't like the feeling of makeup at home. Cleansing oils are a must in my skincare routine since it thoroughly removes every bit of makeup and sunscreen that was applied in the morning. My favorite is still none other than shu uemura Fresh Cleansing Oil. To keep those pesky acne away from my face, I make sure my cleanser has an acne-fighting-ingredient. The St. Ives Green Tea Gel Cleanser has salicylic acid that will help in doing so. It slightly feels drying, so I won't recommend it to people with dry skin. The serum and/or treatment is still the same since I am trying to reduce those blackheads. Vitacid is the last skincare item before I go to bed because it helps my skin to 'heal' and 'regenerate' after a long day. The retinoic acid in this cream helps stimulate the production of collagen and elastin, hence making it a great anti aging product. Even though I am addicted to sheet masks, I find those troublesome during those days when I just want to sleep. Yes, I'm sometimes lazy to use a sheet mask, wait 10 minutes, remove it, rinse it, apply night cream, and (finally) go to bed. These types of lazy nights require a sleeping pack like the Laneige Water Sleeping Pack_EX. All I do is apply it and sleep. When my skin feels oily and dirty, I opted for a clay mask that can help remove all those excess oils. The clay mask that I use is a simple kaolin clay which I mix with other ingredients, such as green tea or unsweetened cocoa powder. My lips need some love, too! 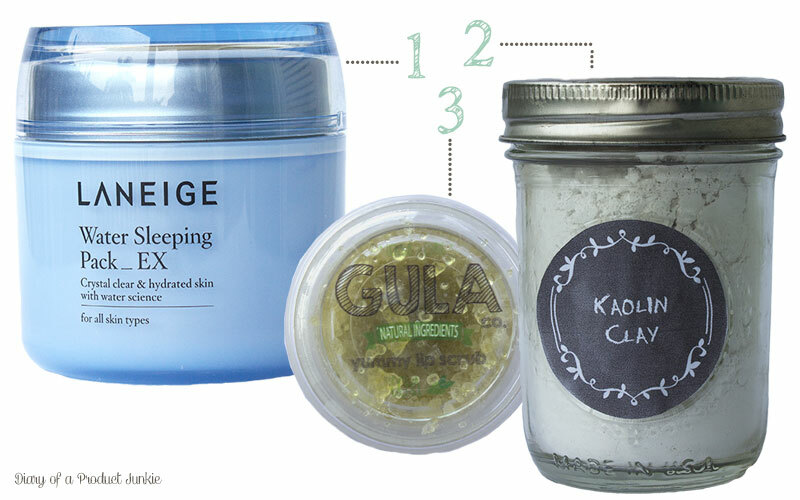 I use a sugar scrub from Gula co. that helps remove any flaky skin on my lips. I know it may seem a lot, especially my night time skincare routine, but the double cleansing method helps to keep my skin clear most of the times. The order of my skincare is usually based on the consistency of the product, thus I go from the thinnest to the thickest product. Would try oats in morning routine.